If you haven’t read any of the other books in the trilogy, no problem! I need a title that will appeal to casual browsers in the Amazon store. Yes, I have a personal fave, but I thought it would be fun to collect some other opinions. And as we all know in this social media age, everyone has an opinion. So either write your choice of title in the comments below or click on this link to use the online poll I just set up (it’s one click, takes about 5 seconds). I really appreciate your help with this. By all means share this post or the link to the poll. PS – The book is in the editing process right now and should be out by spring, followed by a compendium version of all three books! Books 1 and 2 in the Embodied trilogy. Do libraries and chain bookstores carry self-published books? I think in most authors’ minds, the answer is no. But there are ways to break into these seemingly impregnable fortresses of traditional book distribution for indie writers, and most of them involve a lot of leg-work. Plus driving (unless you live next door to a library). 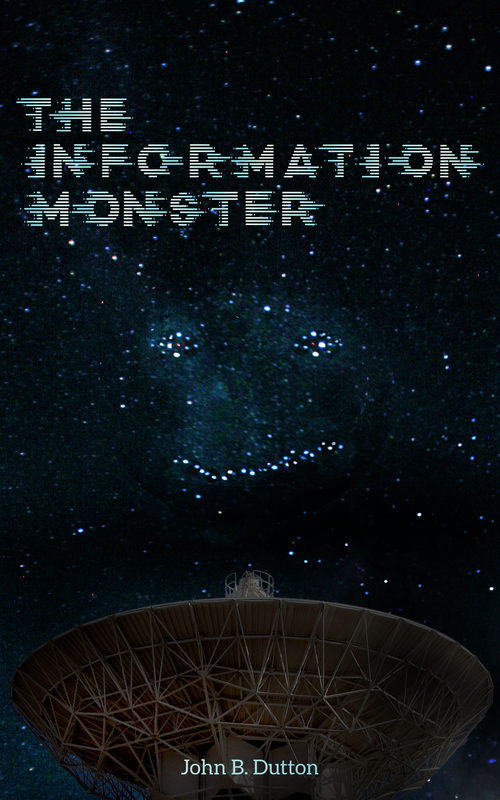 That’s the blurb for The Information Monster, a previous version of which was published in 2013 as part of an anthology called Disrupted Worlds. Now it’s available as a standalone Amazon Kindle book. At over 10,000 words, The Information Monster has more meat to it than a typical short story, so if you’re ready to spend an hour (and a buck!) navigating the tortured mind of our hero Sigi, click right here to go to Amazon.com, or here for Amazon.ca and here for Amazon.co.uk. Fraudulent five-star fakes finally forestalled! I’m sure those aren’t the only F-words that pop into the minds of honest authors and publishers when they read about their less scrupulous competitors’ mendacious review-buying activities. Now Amazon is taking fake reviewers to court in the US. I’m no legal scholar, but I bet that not only is review-buying cheating, it’s also criminal fraud. Personally, I’d rather a fan illegally download my book than have another author boost their Amazon rating by purchasing fake reviews. Clearly this wasn’t the right book for the 1-star reviewer, and that’s the way it should be for any work, whether lowbrow or highbrow. But I’m proud to have taken the True Review Pledge and encourage other authors to do so. Amazon isn’t altruistically taking a legal stand on behalf of honest authors, the company also has to protect its brand, and fake reviews make it harder for book lovers to judge before they buy, therefore tarnishing the trust they have in the platform. Fiction authors lie for a living. But they don’t have to cheat. Amazing news for Canadian readers! Up until now I’ve used Amazon’s CreateSpace print on demand (POD) service for paperback editions of my books. It’s great for indie authors because there’s zero upfront cost, formats are very flexible, and the books are printed and shipped quickly. The final product is trade paperback quality and although ebooks have always been my primary focus, there are many readers who prefer the old-fashioned dead tree experience. Personally, I’m on the dead tree fence. Some books I read on my Kindle, others “in person”. The only issue I ever had with CreateSpace was that the books were printed in the US or UK. That meant that Canadian readers had to pay international shipping rates, making my books very expensive for friends here in Canada. Well, NO LONGER! As of October 8, CreateSpace books are available directly on the amazon.ca store. Here are the amazon.ca links for books 1 and 2 of the Embodied trilogy: Silent Symmetry and Starley’s Rust. And here’s where my fellow Canadians can purchase a weighty paperback tome of my psychological mystery (set in Montreal), The New Sense. It’ll be a rainy fall day in Montreal tomorrow – the perfect occasion to snuggle up with a good book. Happy reading!